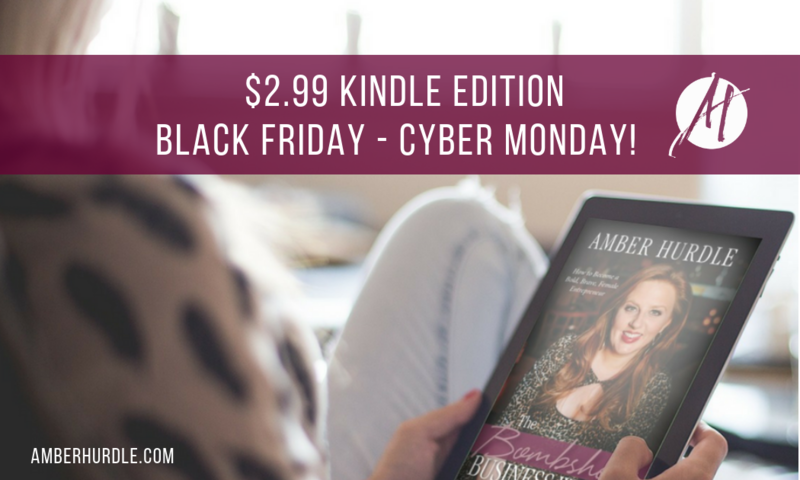 To help give you a push to either prep for an amazing 2019 or share what you’ve learned with your biz besties, I asked my publisher to drop the price of the Kindle version of The Bombshell Business Woman: How to Become a Bold, Brave Female Entrepreneur to $2.99! Yup. It’s dirt cheap Black Friday through Cyber Monday.